Transitional metal backplate for pulls by Richelieu instantly upgrades kitchen and bathroom cabinets. This sleek round wardrobe knob and streamlined removable backplate add a combination of crisp geometric shapes on furniture and cabinetry. The faux screw embellishments add subtle contrast to the backplate's rectangular silhouette. 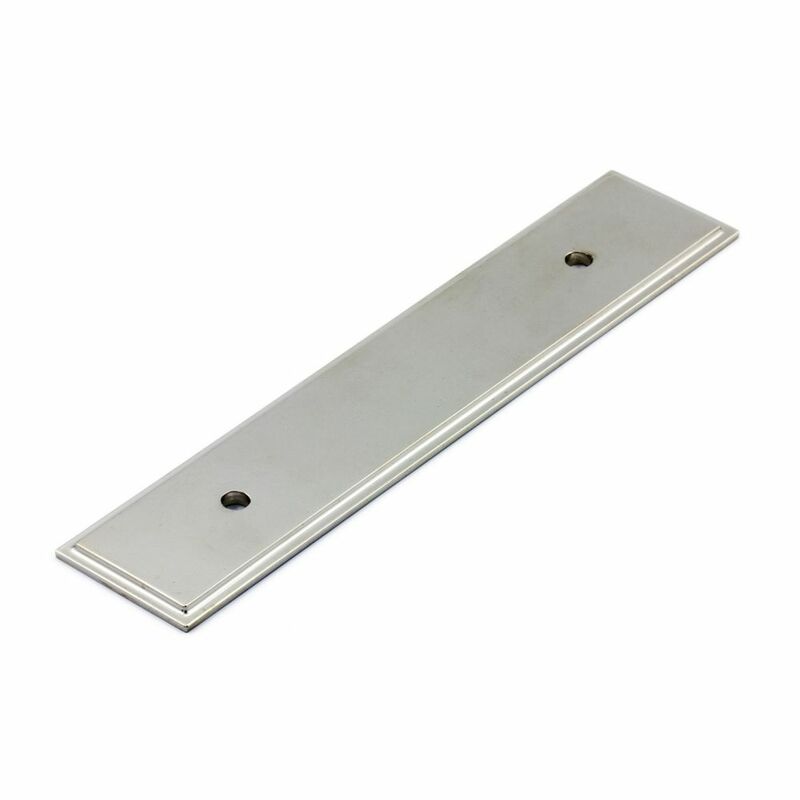 Transitional Metal Backplate for Pull 3 3/4 in (96 mm) CtoC - Polished Nickel Tremblant Collection Transitional metal backplate for pulls by Richelieu instantly upgrades kitchen and bathroom cabinets. Transitional Metal Backplate for Pull 3 3/4 in (96 mm) CtoC - Polished Nickel Tremblant Collection is rated 5.0 out of 5 by 1. Rated 5 out of 5 by Richard from Great craftsmanship with a high quality finish!... Great craftsmanship with a high quality finish!